Through multi-stakeholder partnerships, CNC-AC reports analysis results of the Connecticut Nursing Workforce Supply Sample Survey from the National Forum State Nursing Workforce Centers. 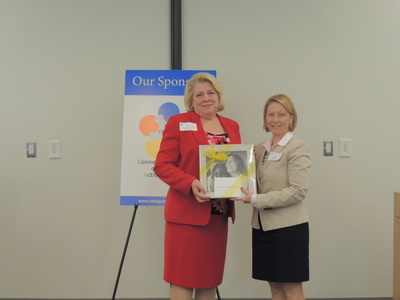 Data were received from the CT Center for Nursing Workforce - A Program of the CT League for Nursing and analyzed by the Connecticut Department of Labor. 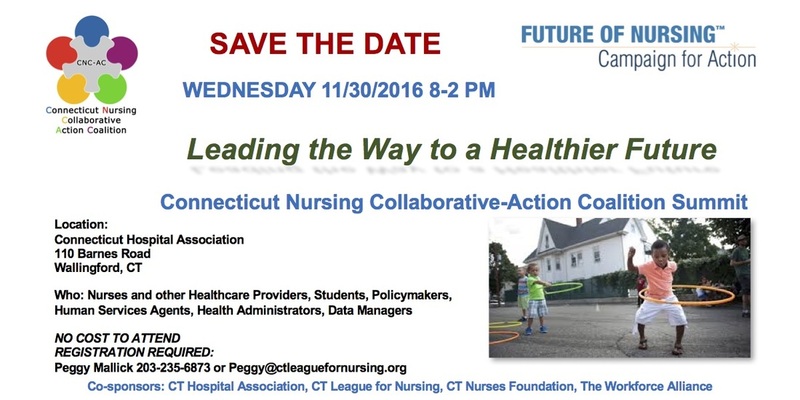 The results will be used to understand patterns and trends in the CT nursing workforce and how those trends affect healthcare in the state. In addition, the results will be used for decision making in nursing education programs and healthcare practice environments. See reports in Workforce Data. 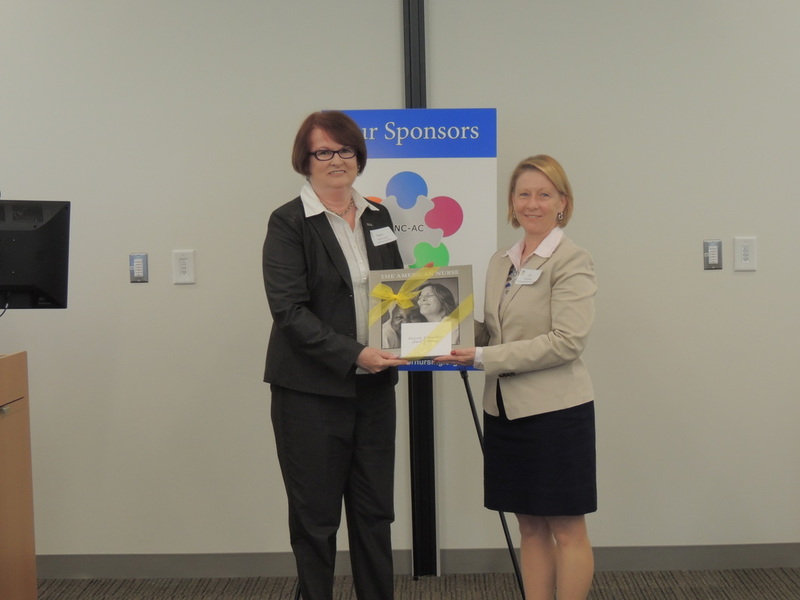 CNC-AC hosted a successful statewide summit on 11/30/2016. 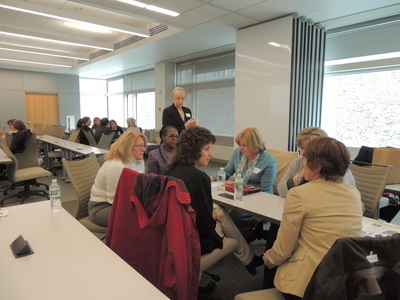 Attendees learned about CNC-AC accomplishments supportive of nursing workforce data infrastructure, diversity in nursing, and seamless academic progression. 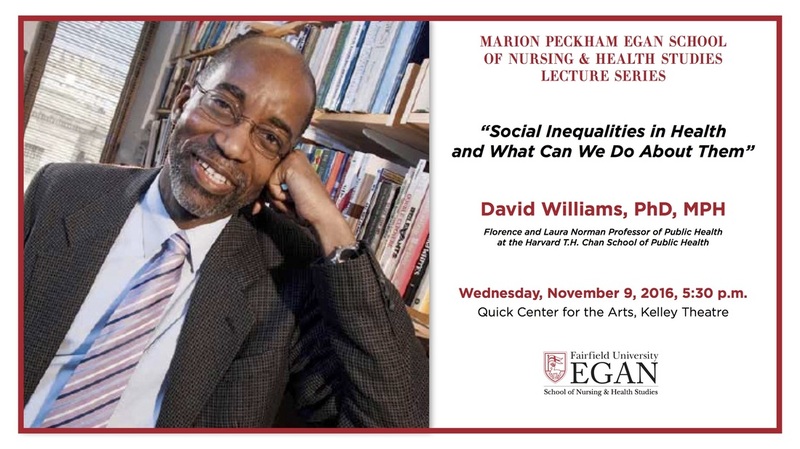 Kenya Beard, RN, PhD offered the keynote address, emphasizing the imperative for diversity and inclusion in healthcare. A multi-disciplinary panel shared their inspiring work to build healthier communities in CT. See the spotlight in the Future of Nursing: Campaign for Action blog post. CNC-AC SUMMIT 11/30 SAVE THE DATE!! 10/13/2016: CNC-AC Director, Lisa Sundean, RN, MSN, MHA was a panelist at the New York Academy of Medicine Section on Nursing: An Update On The 5-Year Progress Of The IOM Future Of Nursing Report: A Conversation With Key Players. 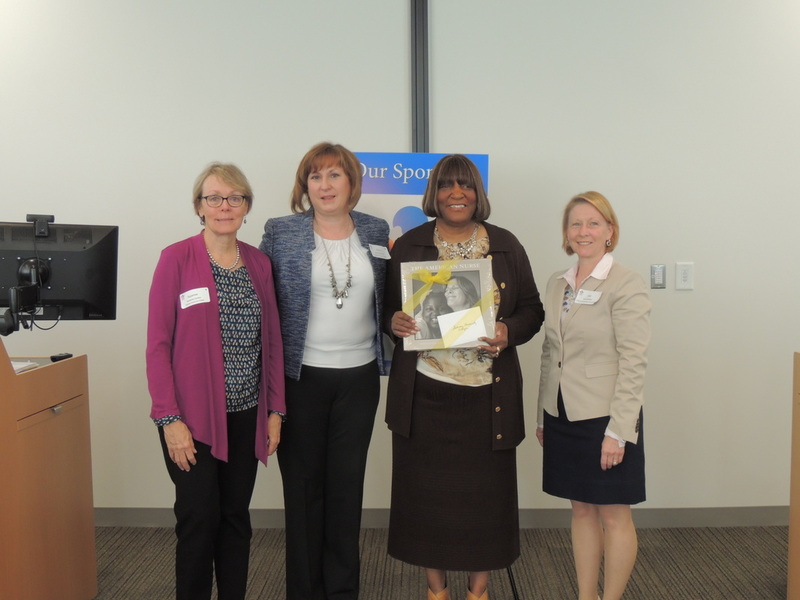 The event was moderated by Diana J. Mason, RN, PhD, FAAN. 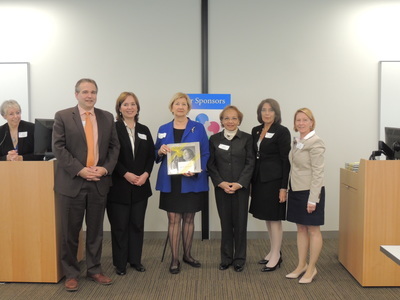 Other panelists were: George E. Thibault, MD, Jack Needleman, PhD, FAAN, Susan Apold, PhD, ANP-BC, FAAN, FAANP. The event was attended by 185 tri-state nurses, Deans, CNOs, and students. CNC-AC was well represented by members of the Advisory Committee. 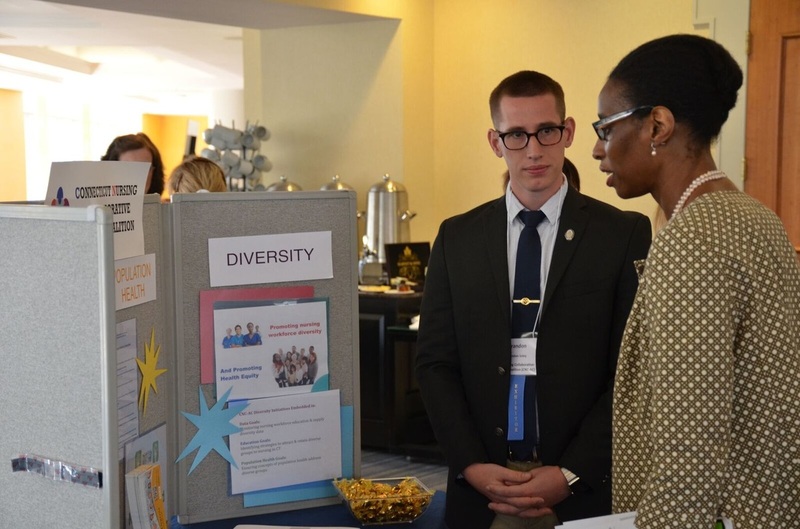 9/16: CNC-AC Diversity Committee has assembled an evidence based toolkit with information and links to engage nurses and other healthcare professionals on a journey toward diversity and inclusion to improve health equity. 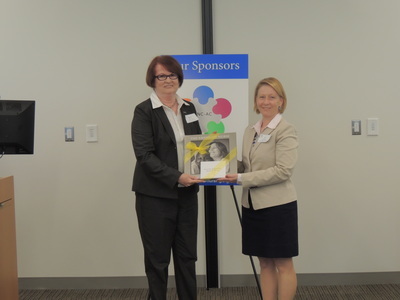 The toolkit is available as a downloadable pdf file in the Diversity section of the website. 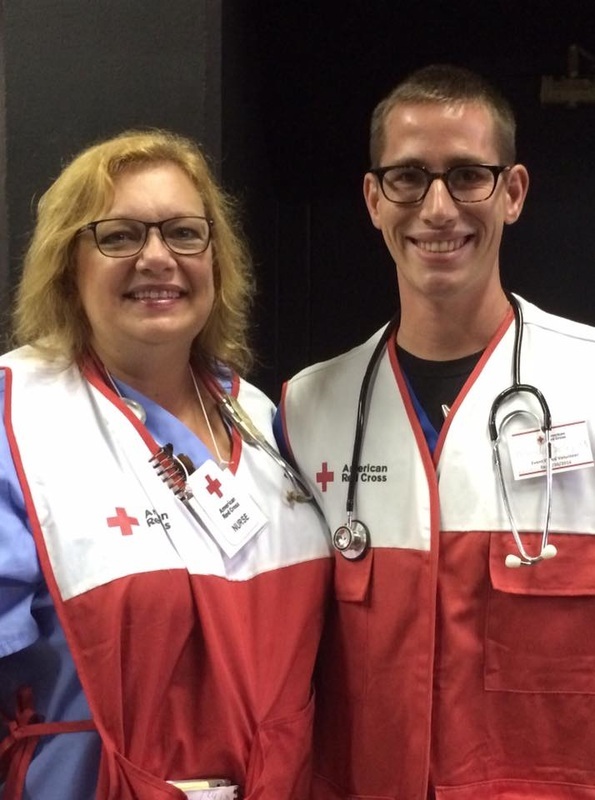 8/16: Heading the call to serve those in need, CNC-AC Advisory Committee Members, Cindy Holle, RN, DNP and Brandon Soley, RN, BSN responded to the recent flooding in Baton Rouge by deploying with the American Red Cross to participate in the disaster relief effort. 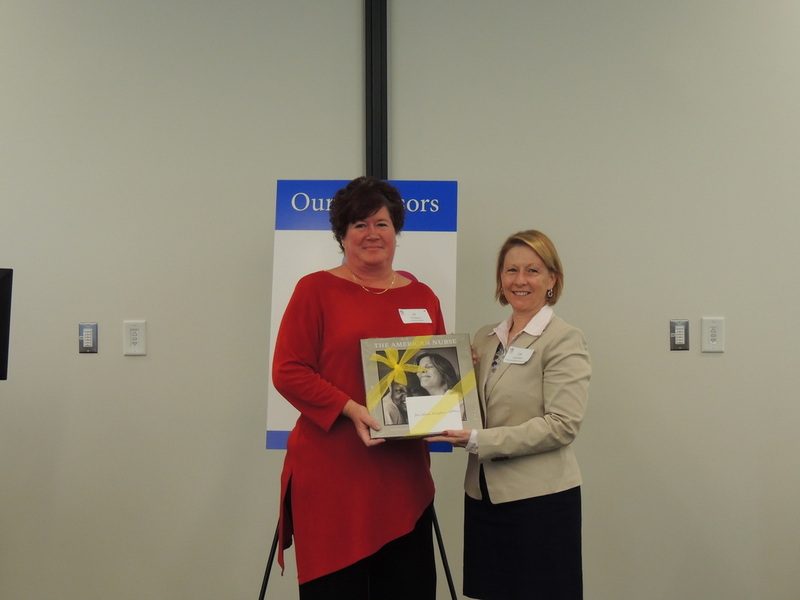 We are so proud and honored by their commitment and dedication to supporting health for people in need. 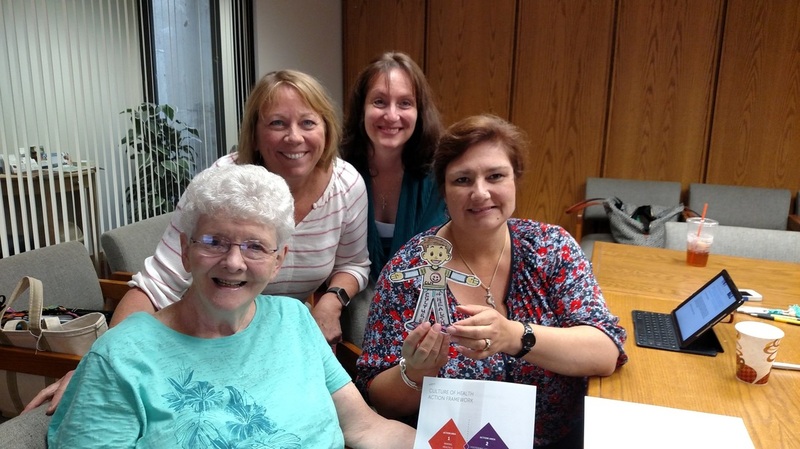 7/16: CNC-AC Population Health Work Group is developing an online program aimed toward incumbent nurses to provide up to date and evidence based information about population health. This program supports the transition and transformation of healthcare toward health, well-being that is focused on populations and whole communities. 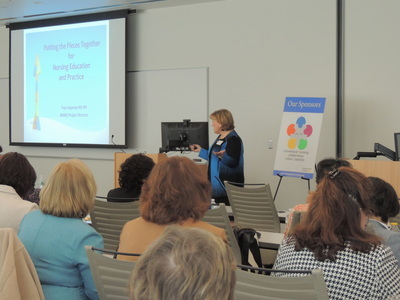 April 2016: CNC-AC sponsored 2 regional gap analyses with academic and practice partners to advance work toward seamless academic progression using the Nurse of the Future Competency Model. The 9 month process culminated in a statewide retreat of the 2 regional groups to prioritze and strategize on solutions and next steps. Groups involved: Southwest CT Group: Fairfield University, Norwalk Community College, Western Connecticut Health Network (Danbury Hospital & Norwalk Hospital); Central CT Group: University of St. Joseph, Goodwin College, Central CT State University, Capitol Community College, St. Francis Hospital & Medical Center, Hartford Hospital. Thanks to the Yale School of Nursing for hosting the CNC-AC Nursing Workforce & Education Stakeholder Summit. 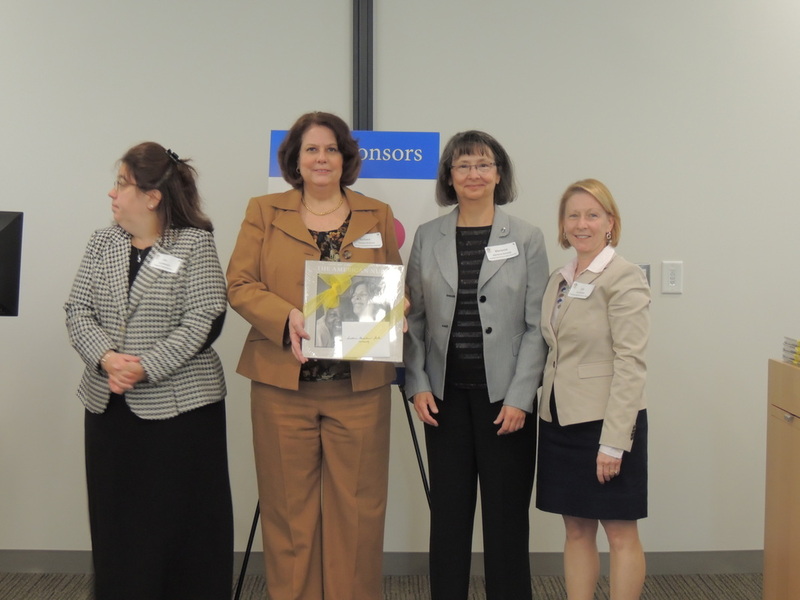 The morning session included recognition of key partners, highlights of CT nursing workforce data and table discussions. 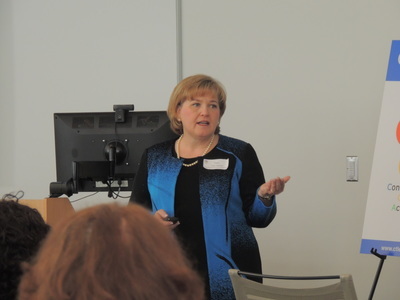 Keynote Speaker Faye Uppman, RN, MS from Minnesota presented inspiring and thought-provoking ideas about emerging nursing education models. 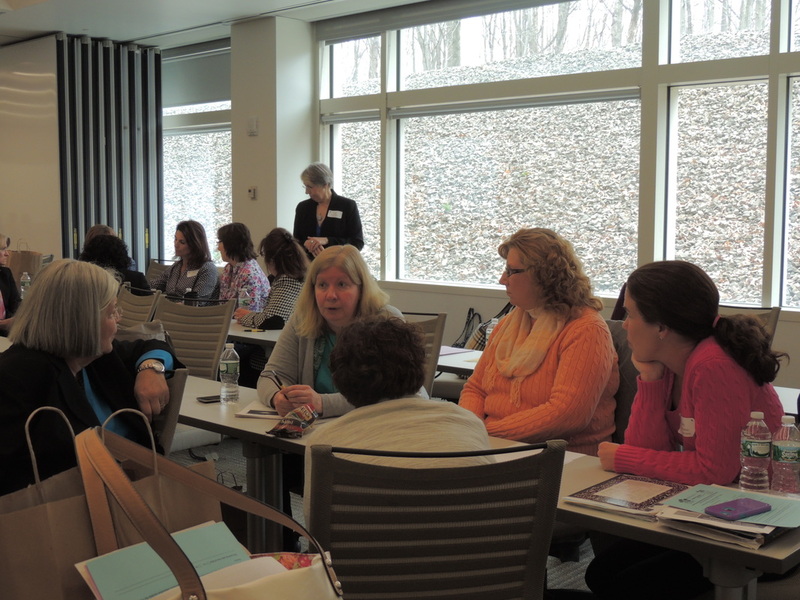 The afternoon included lively group work about possibilities for nursing education models in CT including a SOAR analysis and identification of BIG goals. Thanks to all who participated and all who are dedicated to the future of nursing in Connecticut. 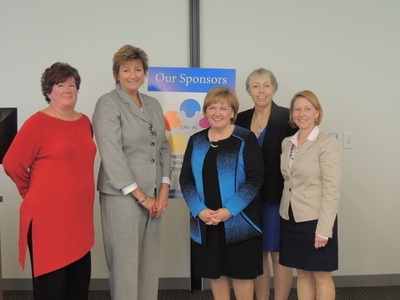 CNC-AC is deeply grateful to its partners and donors for supporting our mutual goals and engaging in the statewide work that has led to tremendous success toward advancing nursing in Connecticut. THANK YOU ALL! CNC-AC is recommending all nurses remain current about health and safety needs regarding Ebola Viral Disease. The Centers for Disease Control is continually updating their website with important information to address the complexity of this issue. Please see the CDC website for more information. We encourage all nurses to work together to stay educated, safe, and to keep the public appropriately informed. Congratulations to all of the new Connecticut Jonas Scholars. We look forward to working with you. Please go to the Jonas Scholar tab for more information and updates. 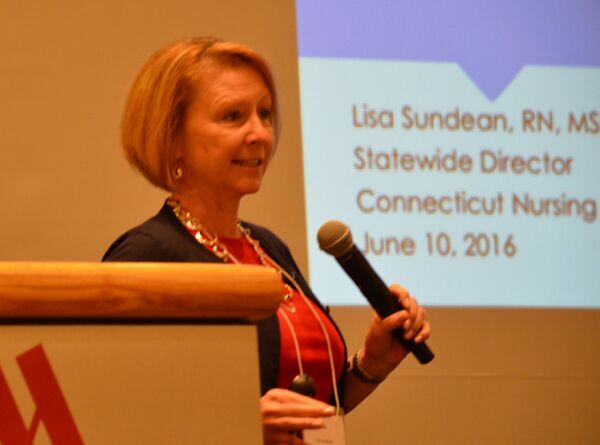 CNC-AC encourages all CT nurses to participate in the upcoming session on Medication Safety, sponsored by the Connecticut Partnership for Patient Safety. 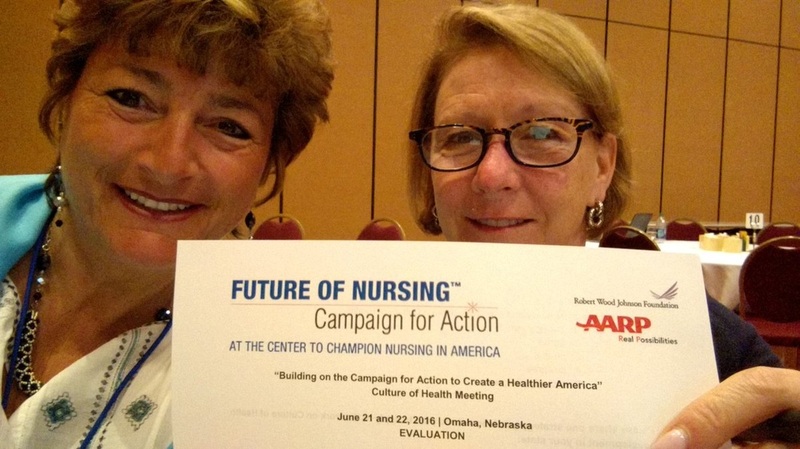 Nurses are a vital part of this conversation. Come share your knowledge and expertise. 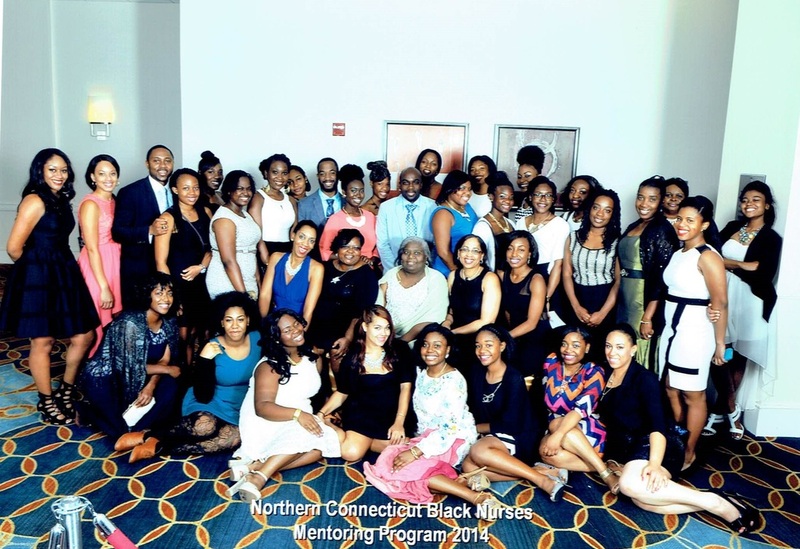 CNC-AC supports the Northern Connecticut Black Nurses Association in a pilot program to increase the number of African American Nurses in Connecticut through the Mentoring and Meeting Program.